You know how handwriting looks on paper, or even on a photo – especially if you’ve used a ball point pen or other hard-nubbed pen? It’s one of those things that makes a digital layout look even more realistic, even if you’ve got all the greatest shadowing techniques in the world. Join me at the Creative Keepsakes blog where I show you how to accomplish this look! 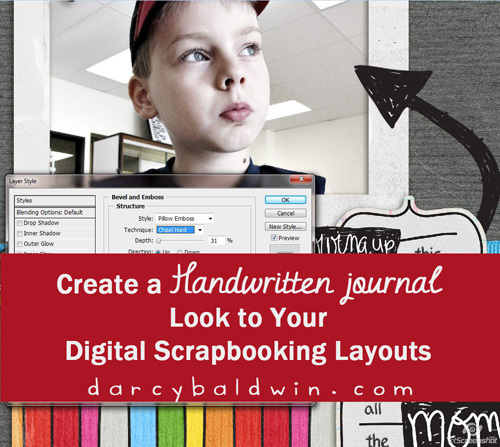 And while there are TONS of great journaling fonts available everywhere, do you have your own handwriting font? You should. It’ll be a memory on your pages you’ll want forever! Get it here!